The Food and Drug Administration (FDA) has approved updated labeling for Farxiga (dapagliflozin; AstraZeneca) and Xigduo XR (dapagliflozin and metformin HCl extended-release; AstraZeneca) to expand the use of these products in type 2 diabetes patients with moderate renal impairment. Tirosint-SOL (levothyroxine sodium oral solution) has been made available by IBSA Pharma for the treatment of hypothyroidism and pituitary thyrotropin suppression. Tandem Diabetes Care announced that the Food and Drug Administration (FDA) has authorized the t:slim X2 insulin pump with interoperable technology, the first of the Alternate Controller Enabled Infusion Pumps. Boehringer Ingelheim and Lilly announced that the CAROLINA trial met its primary endpoint, demonstrating no increased cardiovascular (CV) risk with linagliptin, a dipeptidyl peptidase-4 (DPP-4) inhibitor, when compared with glimepiride, a sulfonylurea, in patients with type 2 diabetes and CV risk. To investigate the association between this diabetes drug class and IBD risk, the study authors searched various databases for controlled clinical trials and observational studies involving DPP-4 inhibitors where IBD events were reported. In utero exposure to higher levels of maternal glucose is associated with higher glucose levels and insulin resistance during childhood, according to a study published online January 7 in Diabetes Care. Researchers examined the effect of a duration of 2 hours or shorter between dinner and bedtime on HbA1c levels in middle-aged and elderly Japanese individuals. 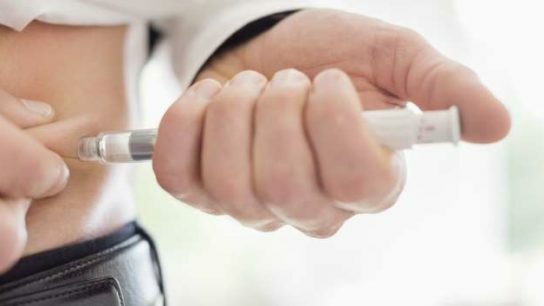 “There has been a flurry of news reports sharing stories of individuals with diabetes rationing their insulin because they cannot afford higher and higher prices,” according to the HCCI. Use of the oral hepatoselective glucokinase activator TTP399 for type 2 diabetes does not cause hypoglycemia and has no detrimental effect on plasma lipids or liver enzymes.